A Foam Spacer is used in a professional plant set up to fill space between the outside of the grow pot and the inside of the (decorative) planter, and to provide support to top-dressing materials. A Foam Spacer is used in a professional plant set up to fill space between the outside of the grow pot and the inside of the (decorative) planter, and to provide support to top-dressing materials. 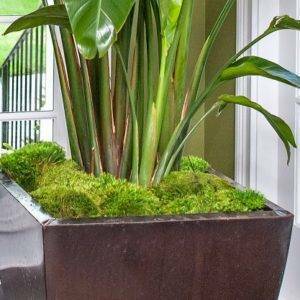 Make sure your plants are sitting straight in the pot and doesn’t get out of alignment with the slightest touch. 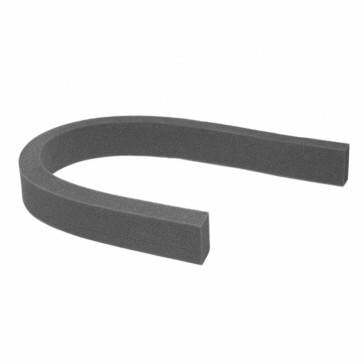 These foam spacers ensure that you plant stays put when you walk by or water your plant. 2" x 1.5" x 36", 4" x 4" x 36"
The ones I ordered were as described on line and arrived with my plants. I haven’t used them yet as I haven’t yet staged my plants but I expect that they will be perfect, given that I can cut them to fit the spaces needed between the grow pots and my decorative pots. What a great foam spacer! Works great to support the grow pot in my decorative planter. Also keeps the mood moss from falling below.